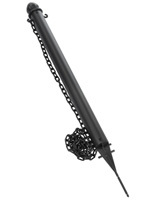 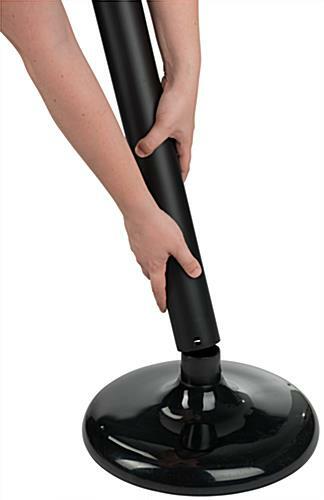 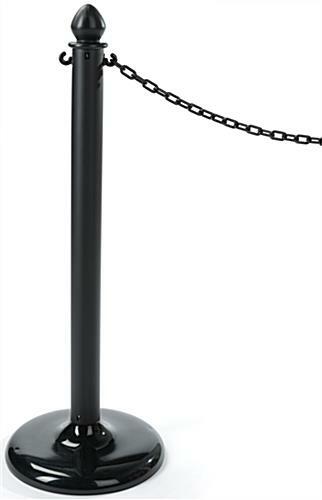 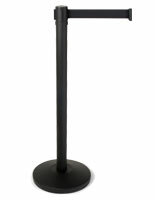 Ideal for recreational settings, such as parks or zoos, these black plastic chain stanchions are versatile for indoor or outdoor use. 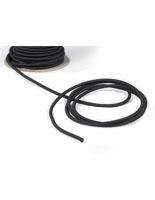 Each QueuePole.Outdoor kit arrives complete with a post and linked rope that can be used to create lines for crowd control or act as a barrier to prevent admittance. 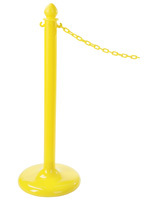 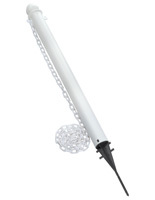 Easy to assemble, the outdoor plastic chain stanchions are lightweight for portable use but can be weighed down with sand for extra stability. 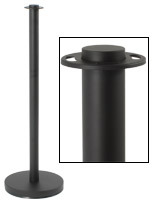 Pour the sand in the base before installing the pole for a total of 15.5 lbs, which will help keep the unit upright on windier days and busy events. 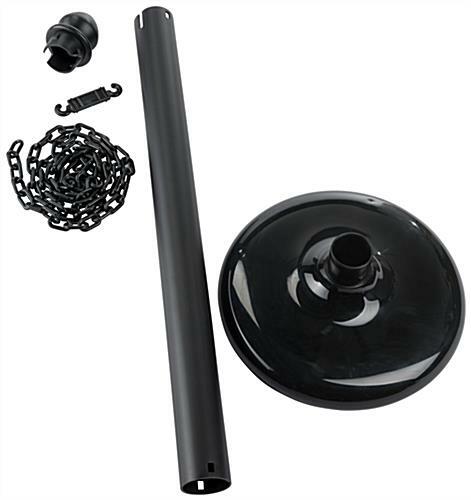 This crowd control kit is designed for both function and aesthetics, with a neutral color and decorative acorn top to complement any environment. 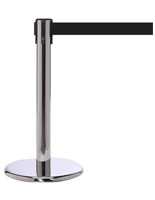 Each link belt reaches 6.5’ in length and attaches to the 2 C-hooks built into the barrier post for a stable set-up to manage lines of people or prevent access. 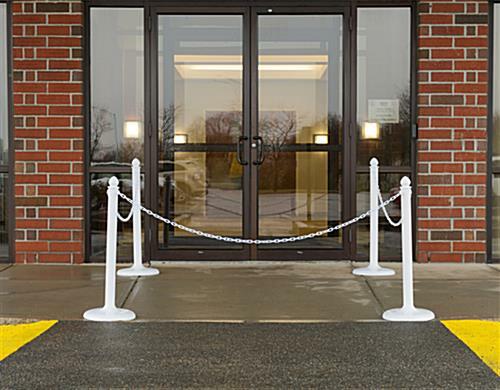 Where traditional metal poles cannot be used outside for extended periods of time, these plastic chain stanchions are rust-proof and fade-resistant to keep their great look, rain or shine!